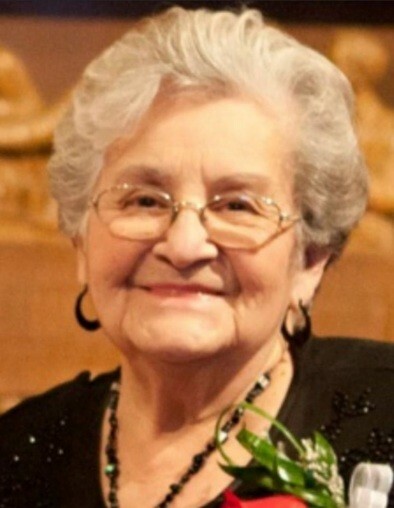 Isabel “ChaCha” (Garza) Garcia, 82, of Beeville, died Wednesday, July 11, 2018, in Round Rock. Mrs. Garcia was born June 9, 1936, in Goliad to Prudencio and Maria (Deluna) Garza. She married Placido Garcia Sr. on Dec. 5, 1957, and was a housewife and a member of St. James Catholic Church. She was preceded in death by her parents; her husband; a brother, Ernesto Garza; a sister, Cleotilde Garza; and two grandchildren, Priscilla Garcia and Marcus Arciba. Survivors include six daughters, Martha (Greg) Gutierrez and Rosa Linda (Adan) Perez, both of Beeville, Amelia (Stan) Lovin of Granbury, Lillie (Joe) Arciba and Belinda (Eddie) Frye, both of Round Rock, and Diana (Jaime) Lopez of Hutto; two sons, Pablo (Janie) Garcia of Beeville and Placido (Pam) Garcia Jr. of Round Rock; 21 grandchildren; 23 great-grandchildren; and one great-great-grandson. Visitation will be held Friday, July 13, from noon to 9 p.m. at Treviño Funeral Home with a rosary recited there that evening at 7 o’clock. The funeral Mass will be celebrated at 2 p.m. Saturday, July 14, at St. James Catholic Church with Father Paul Kottackal officiating. Burial will follow at Our Lady of Victory Cemetery #2. Pallbearers will be Gregory Gutierrez, Jason L. Gutierrez, Adam Perez III, Jerry Perez, Randy Flores, Pablo Garcia Jr., Aaron Garcia and Joey Arciba.